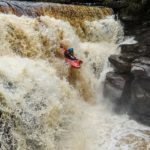 Video Contest 2017 | DBP MAGAZINE ONLINE The World's Best Free Whitewater Publication. We have reached 20k likes! To celebrate, we are running a video competition with over $300 worth of prizes, including a gopro. Videos need to be less than 5 minutes long, with the theme “People, Places and Paddling”. Anyone all around the world can enter.